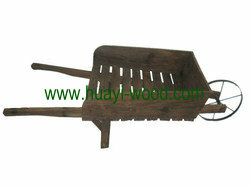 Garden Wooden Wheelbarrows are made of Chinese fir with burn finish or natural finish. 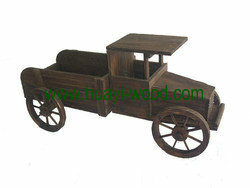 All raw wood material kiln dried thus the wooden wheelbarrows have stable characters, they are anti insects, weather resistant, long lasting. All garden wheelbarrows shipped in knock down styles. They are pre-assembled before shipment. Besides wood wheelbarrows and wooden wagons, we also supply wooden planter boxes, garden water fountains, gardening raised beds and other garden wood furniture.